IN THIS MOVING AND LIFE AFFIRMING BOOK, VIRGINIA STEM OWENS GIVES A CLEAR AND REALISTIC ACCOUNT OF THE MANY CHALLENGES OF CARING FOR AN ELDERLY LOVED ONE. ALONG THE WAY, OWENS NOTES THE SPIRITUAL CRISES SH ENCOUNTERED, NOT THE LEAST OF WHICH INCLUDED FEAR OF HER OWN SUFFERING AND DEATH. 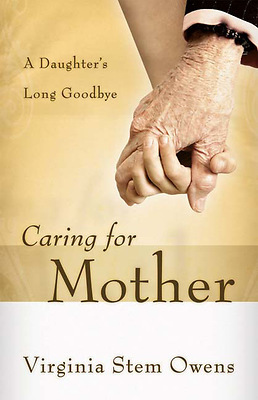 THIS BOOK WILL BE A HELPFUL COMPANION TO THOSE WHO HAVE RECENTLY ASSUMED THE ROLE OF CAREGIVER, HELPING THEM ANTICIPATE SOME OF THE EMOTIONAL TURBULENCE THEY WILL ENCOUNTER ALONG THE WAY.